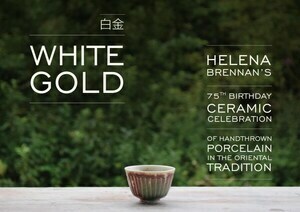 A short introduction to the working life of Dun Laoghaire, County Dublin-based potter Helena Brennan as she celebrates her 75th year with an exhibition opening tonight. Both my parents were potters, my mother having her first exhibition with my late father in the Irish Times gallery in 1966. 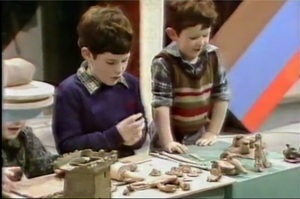 My mother is still making, 50 years on, I’m glad to say her work has only got more interesting. Her exhibition is opening this evening at the Vintage Tea Pot Gallery, Number 8 Catherdral Street, Dublin 1. we’d be happy to invite anyone interested to come along. Posted in Misc and tagged Helena Brennan at 5:07 pm on October 12, 2017 by Broadsheet. Would that be young Luke Brennan of this same parish?